After teasing it in March, Pioneer has finally released details for their new direct drive PLX-1000 turntable, which will hit stores in August and cost $699. The news was accompanied by a demo video featuring turntable legends QBert and Shortkut (see below). “The PLX-1000 is precision engineered for the booth, drawing on 50 years experience of making high-end turntables. The result is a familiar layout with some next generation improvements, including a high-torque direct drive system, multi-pitch control, club-grade build and sound quality, and detachable power and audio cables,” the press release says. 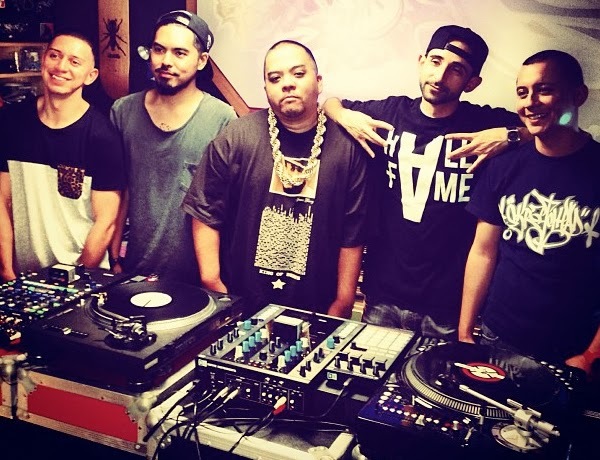 Shortkut (Beat Junkies, Invisble Skratch Piklz, Triple Threat DJs) spoke with Serato during the 2013 Red Bull Thre3Style World Finals in Toronto. The legendary DJ discussed the current state of battling, the importance of selection, what Thre3style means to him, and more. We couldn’t have a scratch series without San Francisco representing. After months of anticipation, DJcityTV is excited to release the San Francisco edition of our “Cutting Room” series. Filmed at Mixsterious’ headquarters in San Francisco, this session features routines from some of “The City’s” dopest on the cut including J. Espinosa (Wild 94.9), Miles Medina (99.7 NOW! ), Teeko (4OneFunk, Starship Connection, Mugpush), Shortkut (Invisibl Skratch Piklz, Beat Junkies, Triple Threat DJs), and Primo (Qbert Skratch University Valedictorian and winner of this year’s DJcity Podcast Contest).